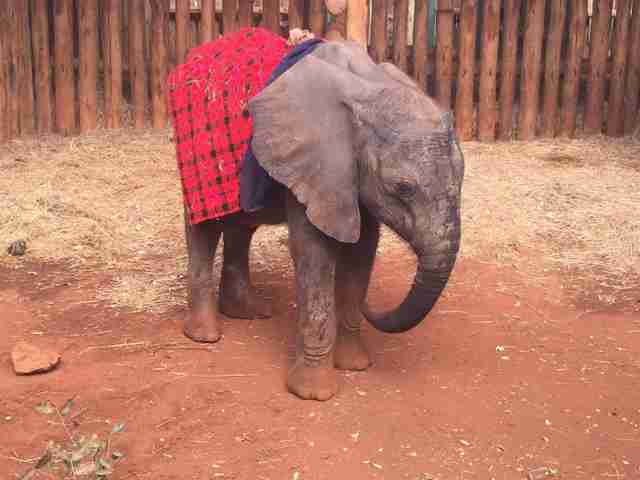 An adorable orphaned elephant was rescued from certain death on Tuesday. 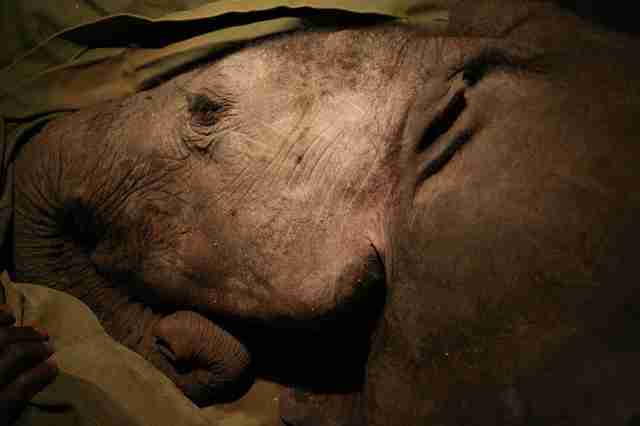 The baby elephant was spotted wandering alone around the Maasai Mara, a Kenyan wildlife preserve. She had likely been attacked by a hyena, as her tail was bitten off and she had other injuries. 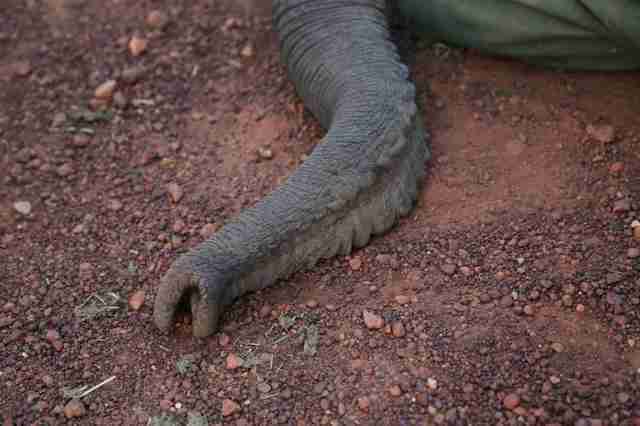 Orphaned elephants are all too common in Africa, where ivory poachers have killed an incredible 100,000 adult elephants in just three years. 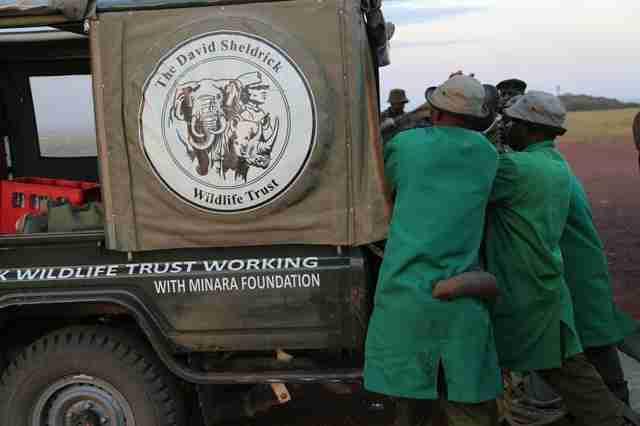 Keepers from The David Sheldrick Wildlife Trust, an elephant rescue in Kenya, knew that her prospects for surviving the night were "bleak" if she had already been targeted by predators, they wrote in a Facebook post. They decided to stage an emergency rescue. 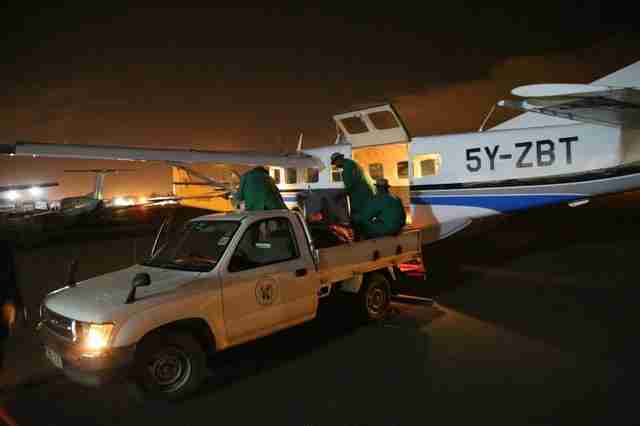 As the sun set, they managed to capture the 14-month-old and airlift her back to the rescue. 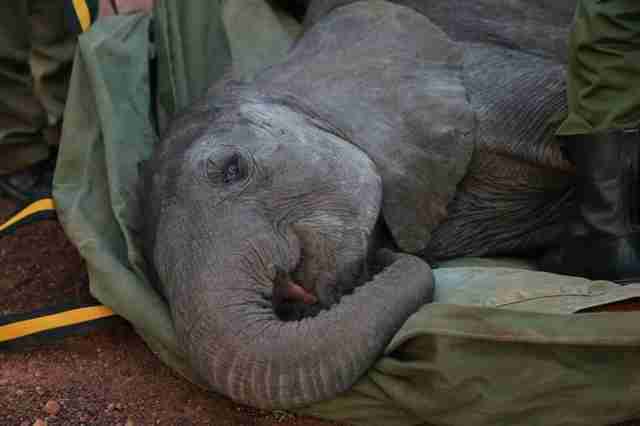 She was calm throughout the flight, and by the next morning was chomping down on leaves at the elephant orphanage. 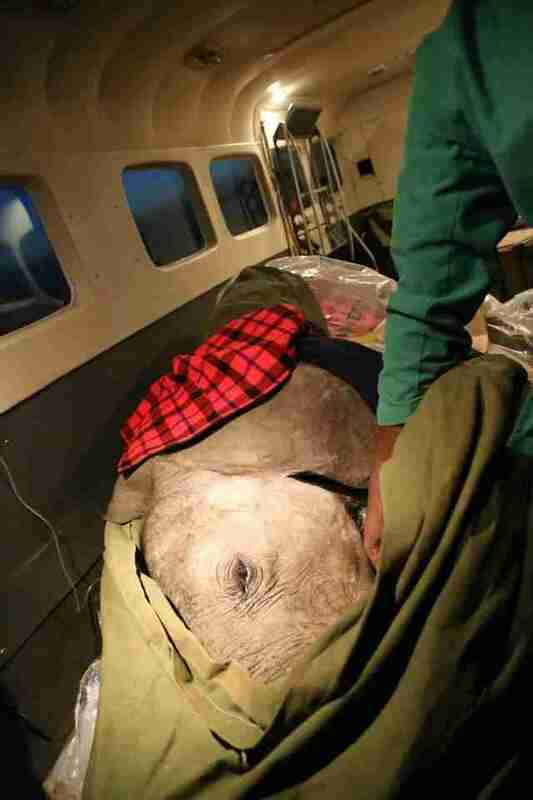 The little elephant - whom rescuers named Alamaya, which means "brave" in a Maasai dialect - is reportedly doing well. While she has a long recovery ahead, she is enjoying the company of the 33 other orphans in the rescue's care, the group stated. 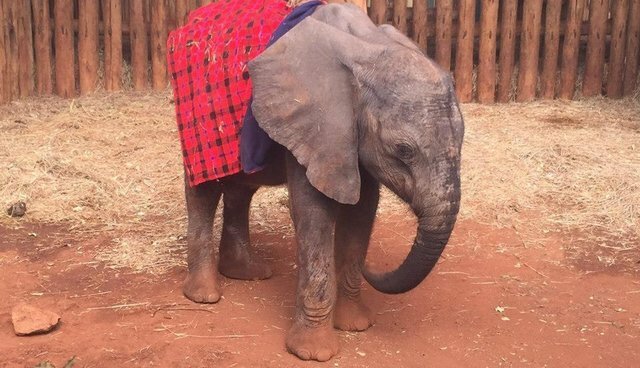 If you'd like to help Alamaya and the other orphaned elephants, you can make a donation to The David Sheldrick Wildlife Trust.